Get the Door… It’s the Liquor Store! “I wish the liquor store would just deliver.” Pipedream, right? Nope. Not anymore. It’s hard to tell the pizza boy he’s no longer “your favorite” but all’s fair in love and… laziness. If you’re thirsty, the Drizly man may be the man of your dreams, and he’s here to save the party. Drizly is a cellphone application that allows consumers to buy wine [and beer, and vodka, and tequila, and olives, and ice] online, and have it delivered to your current location. All you have to do is download the app, load in your credit card info and then browse through the selection, or just search for what you’re looking for. Unfortunately, liquor options may vary by location. But the good news is, there is a Drizly pick up location in every part of the city. Whether you’re in Somerville, Charlestown or out in Waltham, Drizly is there for you. So instead of driving tipsy, pausing Netflix, or having to go out in those things that rhyme with “wizards”, download Drizly today to experience “Wicked Wine on wheels”. 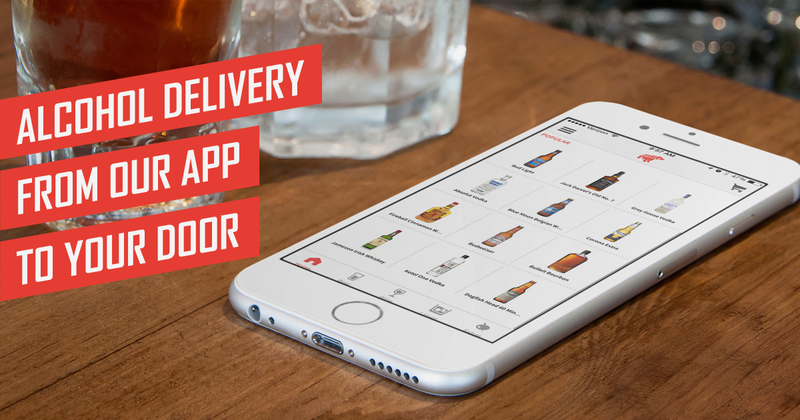 This entry was posted in Thirsty Thursday and tagged Alc, Alcohol, Appications, Delivery, Drinks, Drizly, Get the door...it's the liquor store, Global Wines Inc, Iphone, Iphone App, Liquor, Safe driving, Samsung App, Wicked, Wicked Wines. Bookmark the permalink.